Each brush in the Mary Kay® Essential Brush Collection is made of synthetic bristles compatible with today’s formulas, so bring on the liquids, creams and powders. Achieve perfect pickup, smoothly glide on color, blend seamlessly and enjoy a super soft, lush feel. 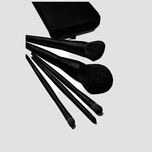 Add dimension and light in all the right places with the 3-in-1 Cheek Brush as part of the Essential Brush Collection. 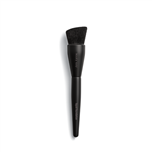 Pop on color with the angled side of the brush, contour with the long, tapered edge and highlight cheekbones using the shorter edge with the Mary Kay® Mineral Cheek Color Duo. Make your eyes pop for any occasion by using the Eye Crease Brush from the Essential Brush Collection to amplify your look. Focus on the outer corner and crease, blending in a darker shade than your base. Want immediate color impact? Stamp color directly into your crease, then blend the lines into surrounding shades. Don’t let your lips get lost in the mix! Start with the Satin Lips® Set to smooth and moisturize before applying color. Accurately place bold lip color with the Cream Color Brush for a pigmented pop, or use the densely packed bristles to mimic fingertip application. This leaves you with vibrant, natural-looking lips.